Are HP's new EliteBooks too cool to be corporate? HP's new EliteBook laptops may be corporate tools, but they've got some cool factor, too—whether it's the carbon-fiber-infused shell of one model, or the twistable display on another. Cool is good, because these EliteBooks face as much pressure as the mobile workforce they support. They have to perform, and they have to last. I'll be honest with you: I have a friend whose company went with HP for her sales team, and she hated those laptops. They kept failing. I recall her bitter words as I write this. HP's updated EliteBook Folio will sport a new Intel CPU when it ships, along with its reusable "green" carbon fiber and magnesium-lithium alloy shell. The standard version will have a 1920x1080-pixel display with optional touch and be available in February. The Special Edition, available in April, gets a chassis made of carbon fiber and magnesium-lithium alloy that lightens it to just 2.2 pounds. It also offers a choice between 2560x1440-pixel touch or non-touch displays. HP also announced the EliteBook 1040 G2, a more standard-size, 14-inch laptop with a choice of 1600x900-pixel or 1920x1080-pixel displays. Few other specs were available at this writing, however. An audio jack, power, USB 3.0 and docking port adapter grace the right side of the EliteBook Folio 1020. 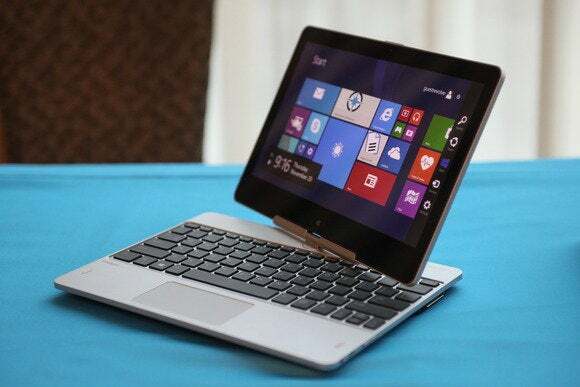 As its name suggests, the EliteBook Revolve 810 (see top of article) has an 11.6-inch, 10-point touch display that can rotate on the laptop base or detach for use as a tablet. The system comes with 12GB of RAM and SSD storage. HP hasn't forgotten the SMB users residing just a rung or two lower on the food chain from enterprise customers. For those users it's offering two product lines, both with magnesium-aluminum shells. 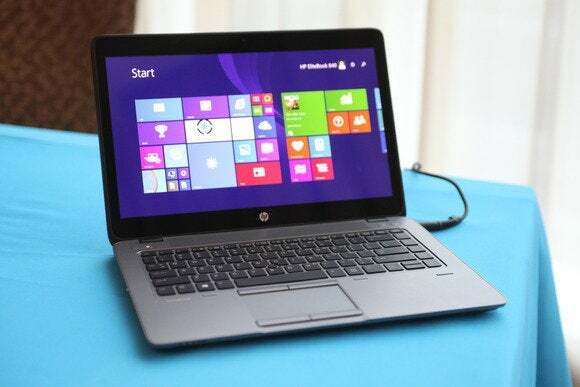 HP lets you choose from several sizes of sturdy display (the company said 14-inchers were its most popular size), and you also get a raft of security features. The EliteBook 840 will get Intel's next-gen CPU treatment in its magnesium and aluminum chassis. In a briefing, the EliteBook 700 showed off its upgradability. It was easy to remove a bottom panel to access components such as storage and RAM. HP specifies up to 10 hours of battery life for the 700 series. The EliteBook 800 Series laptops are thinner and lighter than the lower-cost EliteBook 700 series. They'll be available in January. 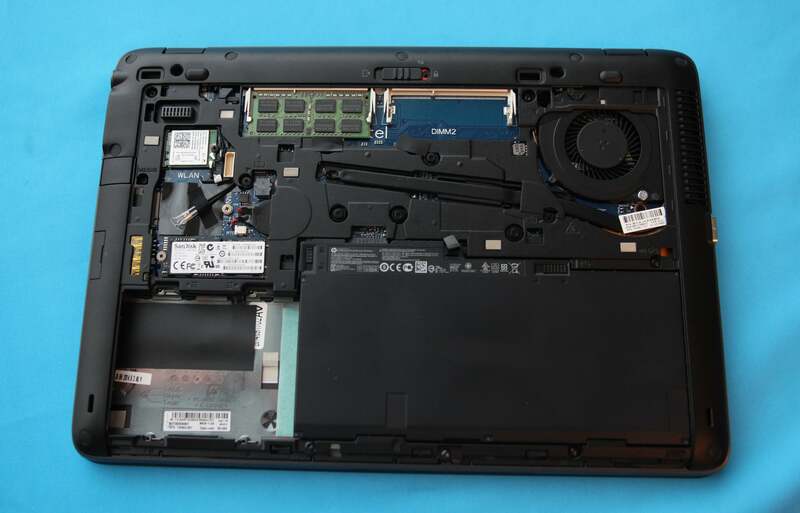 HP's Elitebook 700 series is easily upgradable. Removing a bottom panel reveals a storage bay and memory slots. Like all corporate notebooks, the EliteBooks come with a selection of security and support options to help users on the go. Among the many features offered are fingerprint readers, a Touchpoint tool for managing BYOD, and encryption tools. Two things not specified by HP were the prices, and also the CPU selection for these Elitebooks—other than that they'd be the "latest Intel Core" chips. That would seem to point to Broadwell, which is due out early next year, but the company would not confirm that possibility. We'll keep you posted as we learn more about this new fleet of laptops.